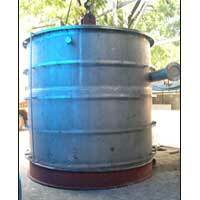 We are engaged in Manufacturing and Supplying Stainless Steel Storage Tank. Our Stainless Steel Storage Tank is ideal for loading heavy equipments. The Stainless Steel Storage Tank we offer is made of high grade stainless steel which enhances its resistance to corrosion and abrasion. Our Stainless Steel Storage Tank is crafted using superior quality raw material. We are a renowned Manufacturer and Supplier of Stainless Steel Storage Tank (SS 316 L). Our Stainless Steel Storage Tank has a capacity of 13000 Liters. This Tank is especially manufactured for Pharmaceutical Industry. Vessel is designed for 4Kgs/Cm sq and full vacuum. The internal mirror has excellent finishing. We are one of the leading Manufacturer and Supplier of Stainless Steel Storage Tank (SS 304). 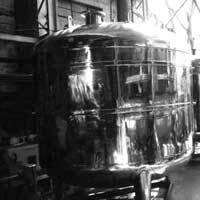 Our Stainless Steel Storage Tank has a capacity of 20000 Liters. This tank is especially manufactured for Brewery. Having made from 6mm thick plates this tank is highly durable. Also, it has vertex forming nozzles and steam injection attached.